hosted by Cindy of Hyacinth Quilt Designs and myself! I hope that you have had a chance to purchase the pattern and pick out some fabrics to use if you decided to join in. This is going to be a very relaxing and easy paced quilt along. On most Wednesdays throughout the quilt along, Cindy and I will be sharing either a tip or the progress in our projects. 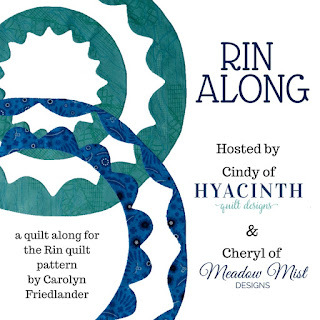 You can share your progress on social media using the hastag #RinAlong. You will need to e-mail either Cindy or myself (MeadowMistDesigns at gmail dot com) a picture of your "finish" by July 2nd. You only need to have one block made (just appliqued, the block does not need to be quilted). We will have 4 four winners, the winners being selected randomly from those that enter the parade. 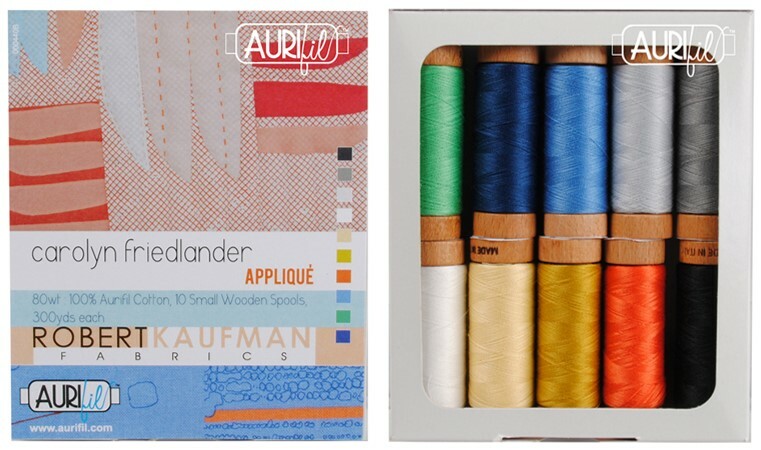 Carolyn Friedlander - Carolyn has generously offered some of her fabric to one winner (US only). 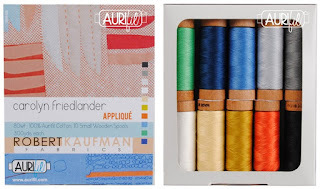 Aurifil - Aurifil is giving away an 80wt small spool 10-piece collection by Carolyn Friedlander (US and international, no PO Boxes). 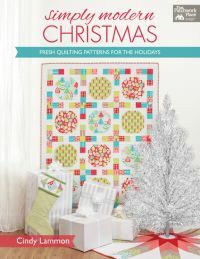 Cindy is giving away a copy of her book Simply Modern Christmas (US only). 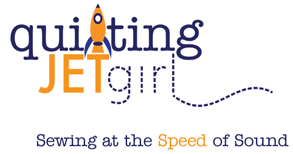 Quilting Jetgirl - Yvonne has generously donated two (2) pdf patterns from her Etsy shop for one winner. I will be giving out three (3) digital pdf patterns of the winner's choice from my Etsy shop (US and international). See you next Wednesday when I will be sharing some tips on getting started with the pattern! Awesome prizes! But, I'm a little nervous to give this a go! I've got the fabric and the pattern and would like to make a king sized quilt but I will settle for one block at a time. Can't wait for some tips. Folding the appliqué fabric looks like origami and I'm nervous. I love Carolyn's appliqué technique. Should be fun. Thanks for hosting and for the prizes. pattern bought, busting into a bundle I've had for ages, just need to decide on BGF!